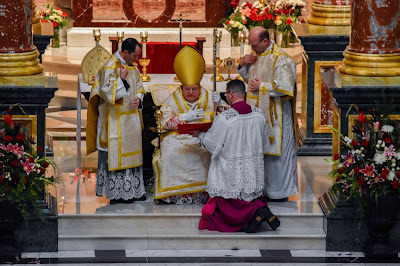 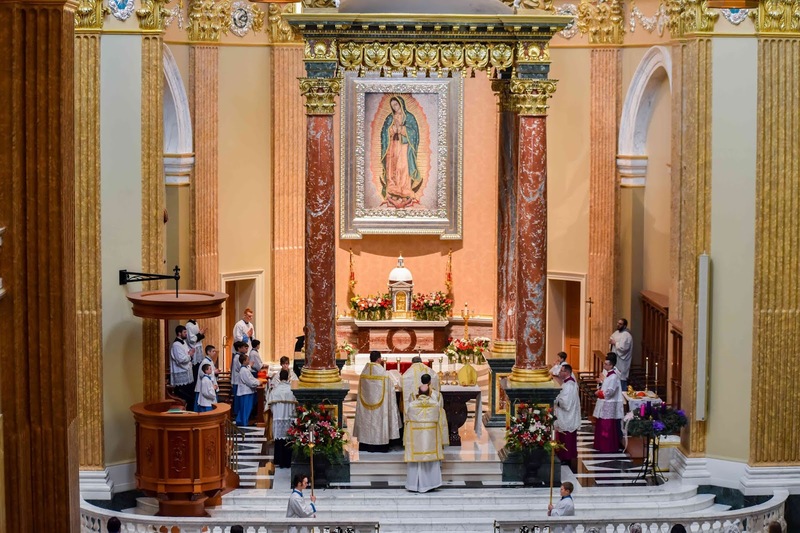 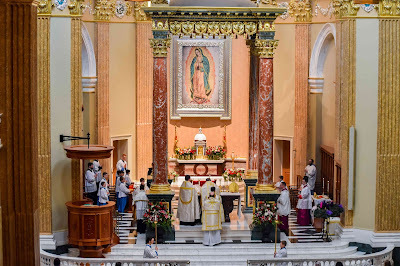 Today, His Eminence Raymond Leo Cardinal Burke offered a Pontifical Mass in the Shrine of Our Lady of Guadalupe in La Crosse, Wisconsin. 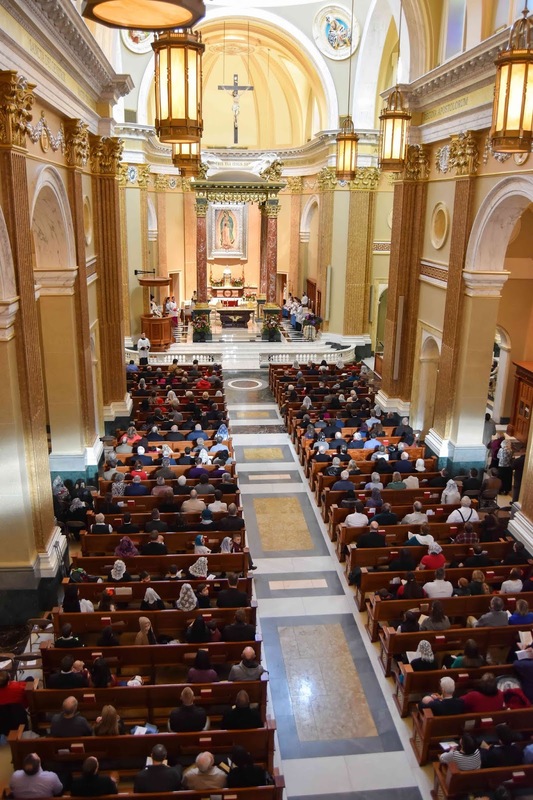 The nave was packed with faithful, with additional folding chairs set up around the church and overflow seating in the basement. 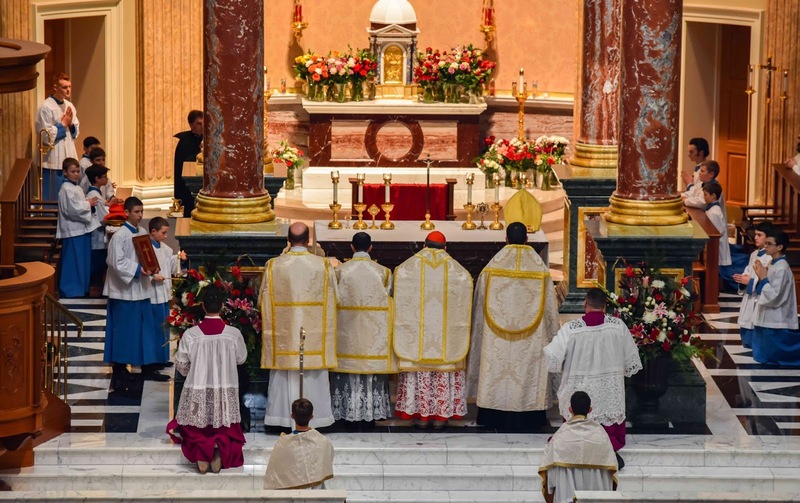 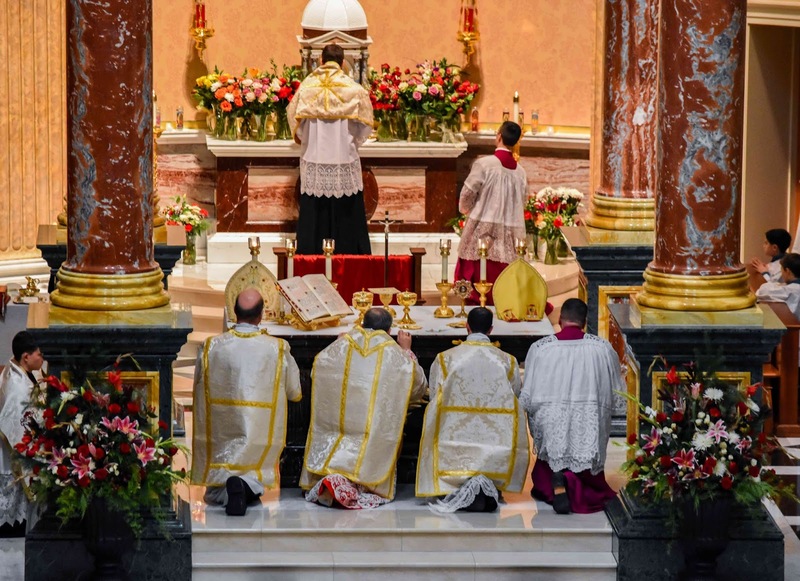 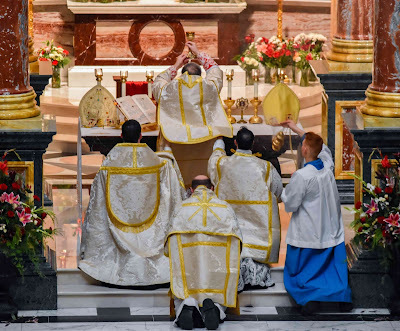 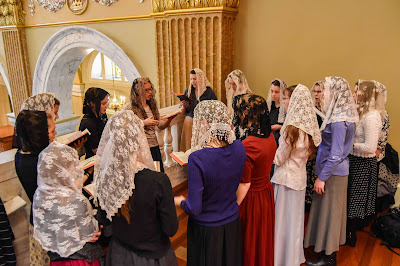 The Mass was the traditional “Rorate” Mass of the Blessed Virgin Mary for Advent. 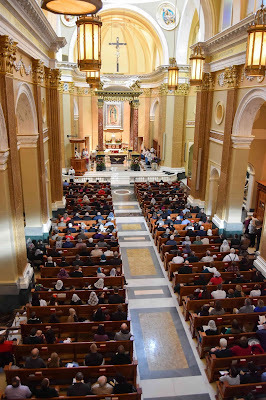 Music was provided by the Choir and Schola of St Mary’s Oratory in Wausau, Wisconsin (see final picture). 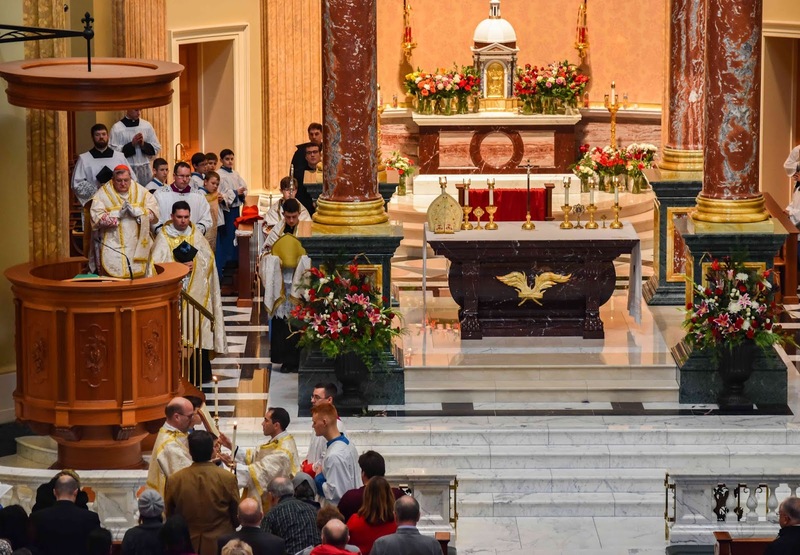 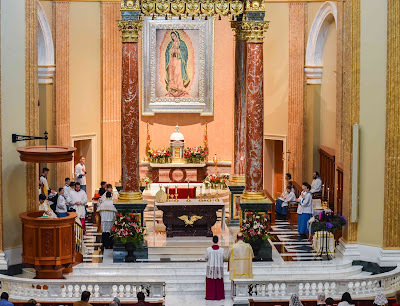 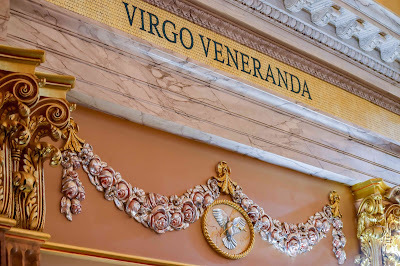 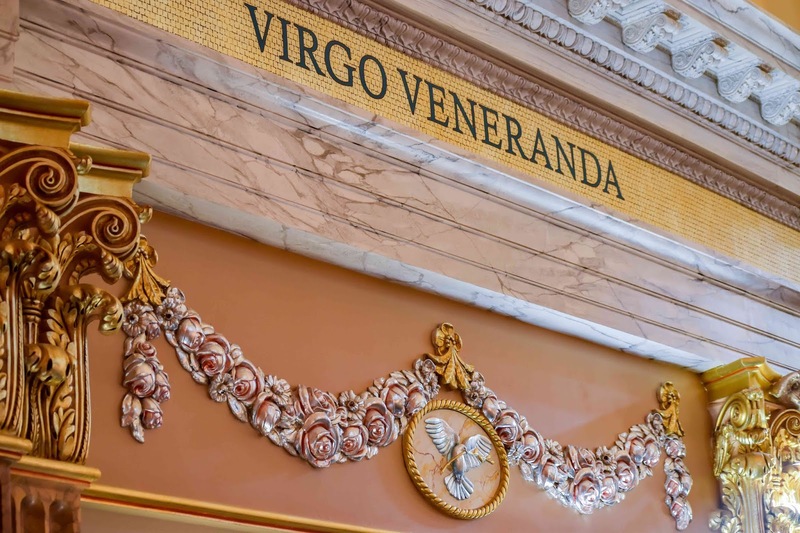 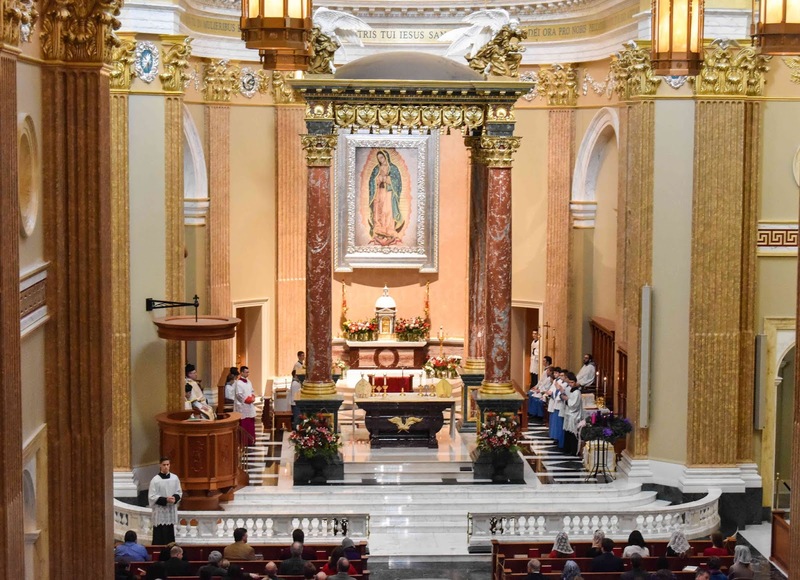 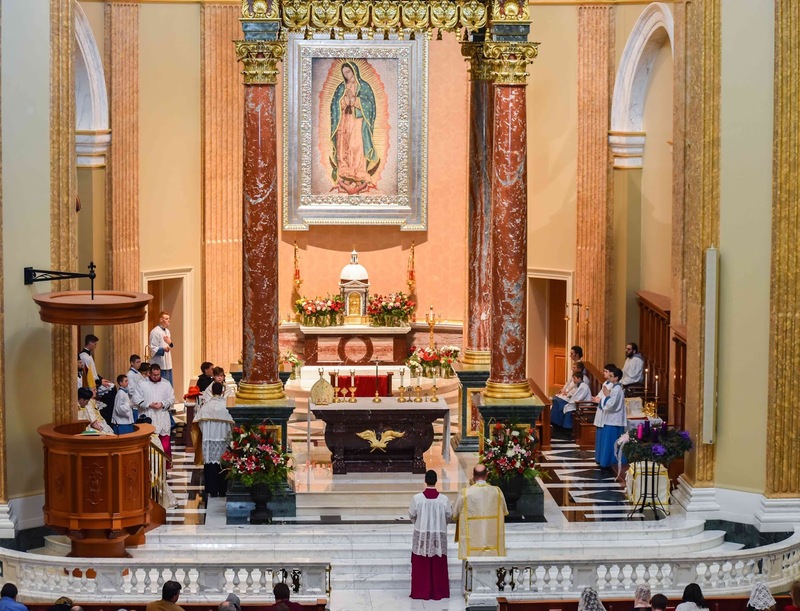 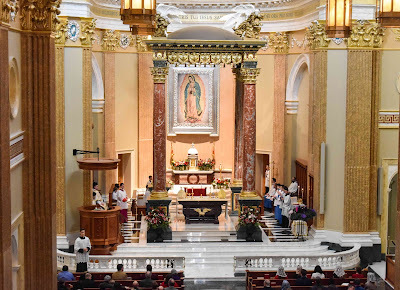 Much gratitude is due to His Eminence for celebrating this resplendent, age-old rite in which Our Lord truly comes among us in word, chant, silence, and Sacrament, and for having initiated and guided the construction of this glorious temple of God built in honor of the patroness of the Americas and of the unborn. Tradition is for the young! This schola cantorum sang all the propers of the Mass in full (including the Gradual and the Alleluia), and the average age was about 18.